Sometimes I feel like a jammy sod. 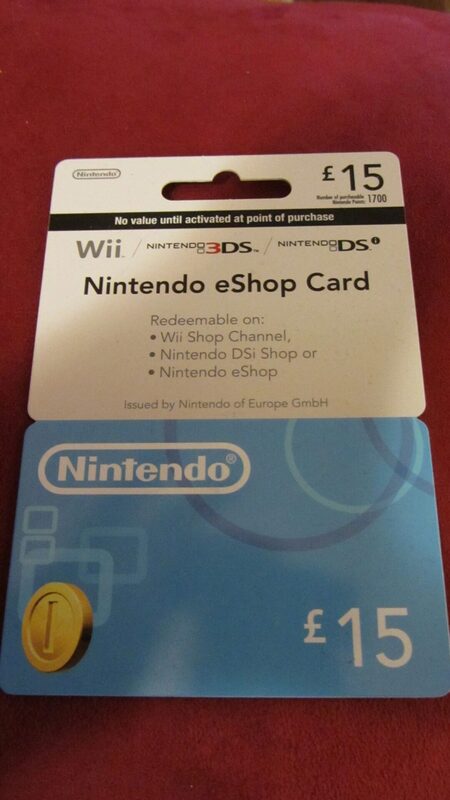 These last two weeks were one of those times when I was lucky enough to be sent a Wii U, three games and a £15 eShop card so that I could take the new Nintendo piece of kit for a test drive and write a Wii U review. To say that when I told the kids they were excited was an understatement; look at Chatterbox’s BIG smile…. However, enough of the excitement at the thought, what was it actually like? 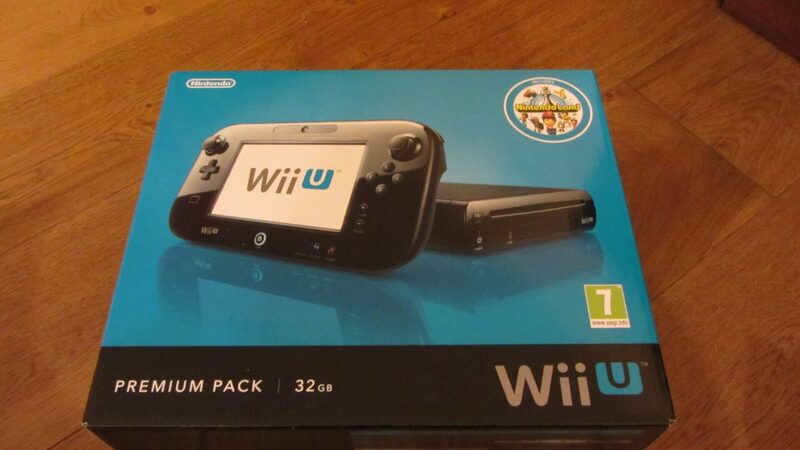 What is the Nintendo Wii U? The Nintendo Wii U is the latest games console from the makers of the Wii, the DS, the 3DS and anything else that you can think of with confusing acronyms….and a slightly confusing reference to something that you usually do in the smallest room in the house. The real reason its called the Wii, anyone know, anyone actually care? In otherwords, the idea of the Wii consoles is co-operation. 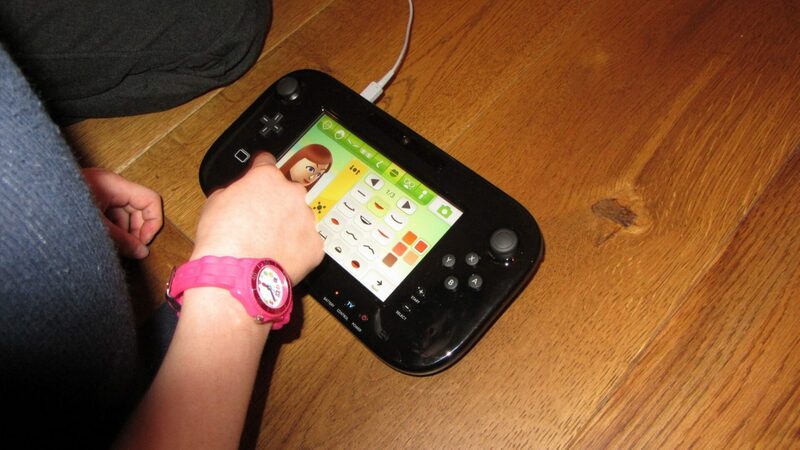 The Wii U takes this a stage further; so instead of just the Wii controllers, there is also a gamepad. Here is my daughter making her own Wii Mii to use in the games in the Mii Maker; a really simple thing to do. Sometimes considered to be as fun as the games themselves…. But what is this, other than a slightly oversized version of a 3DS? 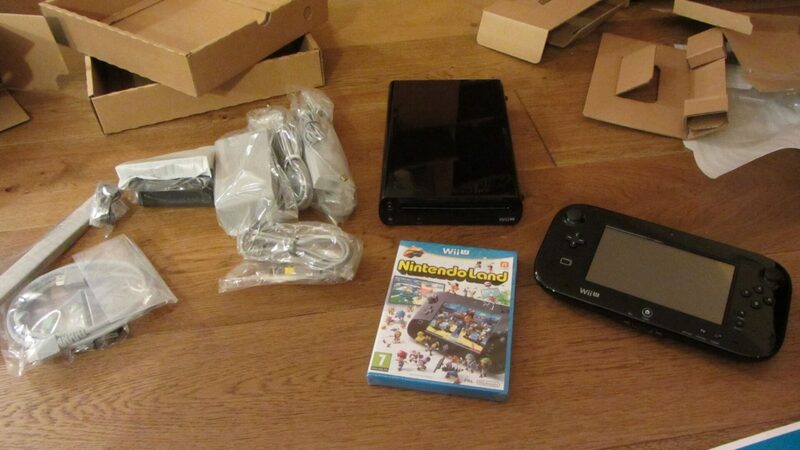 Nintengo Wii U Gamepad – what’s the point? The idea of the gamepad is to bring in another dimension into the game play. It can be another controller for the players, a sheet of paper, a dice, a map, or indeed another TV screen that can be interacted with during games. Personally, before I had played on the Wii U I thought it was all a bit of a silly gimmick for Christmas, and had to be convinced that it would actually add anything to the game play. Particularly as the whole lot, with one of the three games we are reviewing, retails for £279.99 at Amazon. However, I wasn’t prepared for what it added to my lounge. Stunboy setting up the gamepad for Wii Party to turn it into another TV…hence the reason why my lovely coffee table had to move and block the telly! There weren’t even that many components to get sussed, and the quick start guide really helped my aching brain to sort out all the wires and wherefores at the back of my telly! I even managed to set it up without ‘im indoors help *yeah me* If you are struggling though, there is a helpline you can call, so don’t feel you have to suffer in silence. Pick up the phone and call Nintendo Support to help you out. 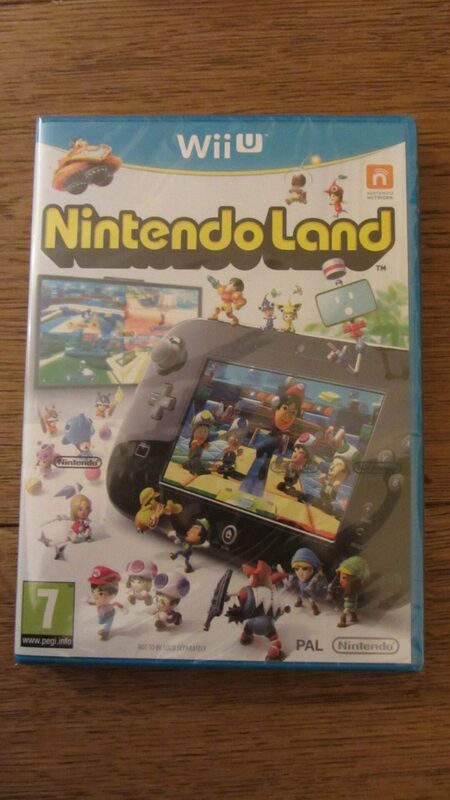 Copy of Nintendo Land Game. What did we all think? 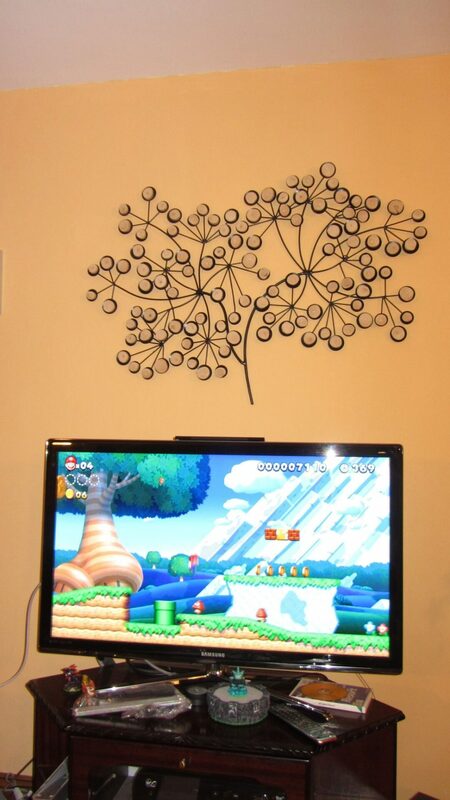 We have a Wii, and I have loved playing this; but the kids seem to go in phases with it. One minute its the flavour of the month; typically after a new game, and the next it’s something that we have to suggest. What always goes down a treat are the interactive games though; the ones that you can play as a family. The Wii U takes this up a gear, and I found it to be wonderfully interactive. Even more so that the previous console addition. Why is this? Simple. We have four remotes, and the games that we love to play, Wii Party in particular, are designed to be able to involve everyone. They were on a level that suited my kids, and they wanted to come back for more. The game pad party head to head games are great for me and the husband in the evenings when the kids have gone to bed. Makes for an “interesting” night with a glass of wine! I haven’t unleashed the kids on this yet – not sure about Stuntboy’s competitive edge you see…. The party TV mode enables you to use the console and up to four other controllers in a set of mini-games that contribute to you being able to move a certain number of spaces, or have a certain number of goes in a board game environment. For example, The Balldozer is a game where you play short minigames for the chance to drop a certain number of balls to try and knock other balls down a hole for points. Confused? You might be unless you play. It’s hard to explain some of the games without just trying them out, which is probably why there is virtually no printed manual with the games on the Wii – its all learn online and interactively, which suits me as it means you can get started straight away *impatient*. Finally, house party mode is the most ingenious. 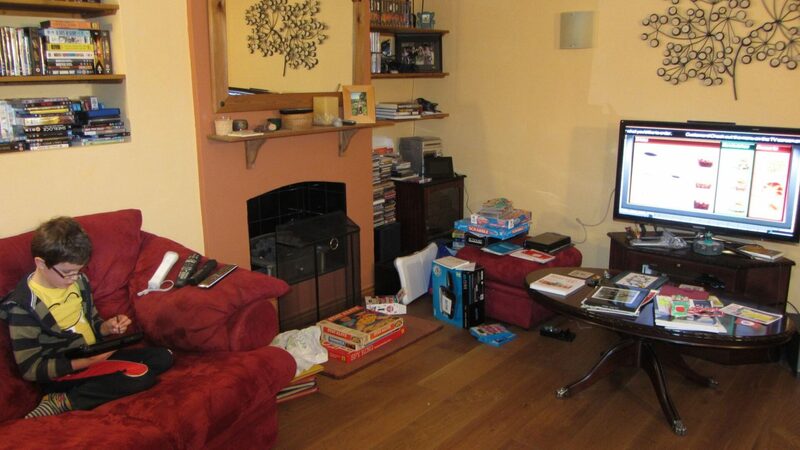 The gamepad and your lounge become the setting for a video game. For example, In Water Runners the game pad is a river where you collect water to drop into the beakers on your TV with your Wii remotes. The fastest to do it wins. Again, there are eight games to choose from, so something for everyone. As usual, the controls take a little getting used to, and don’t try when any of the remotes or the gamepad are running low on batteries – you may have a war on. If you are looking for a game to buy – I can’t recommend this enough for getting all the family involved. This game allows you to play lots of different mini arcade games for a reward in your own Nintendo theme park. There are 12 different games to play, and they range from piloting a ship to trying to get your Mario Cart from point A to point B while collecting the right fruit along the way. We have tried a few of the games out and they are relatively simple, even to the extent that my six year old is happy with some of them. In particular, he likes the Mario cart themed game. However, there wasn’t a great deal of longevity for them for the pones we have tried, though there are a few we haven’t yet broken into. They preferred the more interactive element of the Wii U party games. Now that’s not to say that it is something that I am pleased that he should play. We don’t have a Nintendo DS in the house as I am very much for the art of conversation. Not that I am averse to employing computer games for a moments peace, though. We do let them use the Apple products that we are so fond of. My son loves the idea of this game more than the execution I think. Probably because he knows the brand very well. He struggled a little with the dexterity and co-ordination required to complete some of the tasks within the game, even though it is for age 3+. This could be because of his limitations as a gamer though, and not the game play itself. It’s a standard scrolling platform game; great graphics, cool characters, and engaging worlds. However, it’s not for us. That isn’t to say it won’t be for someone else. Stuntboy might want to play it more, but if we go on the Wii U, he is more drawn to the interactive elements of the game play. The old style platform games are good, and solid. It’s important that they are available for the die hard gaming families, but they aren’t what sets the Wii U apart. 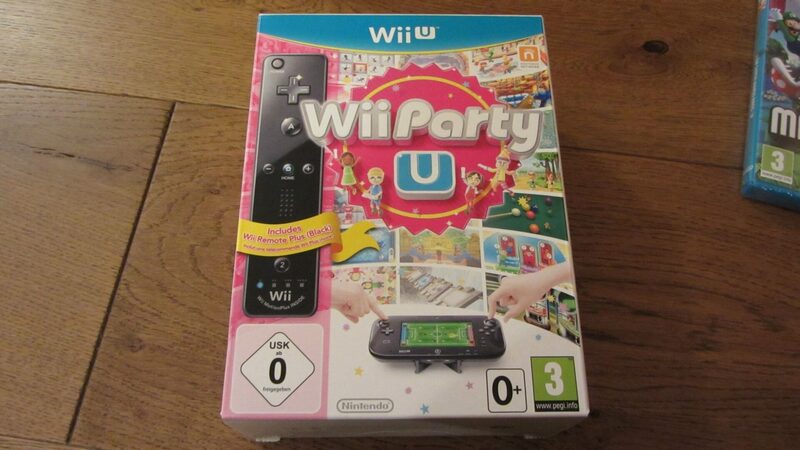 They also aren’t what my kids ask to play; it’s Wii Party all the way…..
As part of this review, I was given a £15 card to spend on the online Wii U shop. One of the additional benefits of the Wii U is its internet connectivity which opens up another world to the gaming family. The Nintendo eShop enables you to download games for free right the way up to the more popular and expensive titles retailing at £44.99. This is a good edition to the Wii U, but it doesn’t have the choice that you can get on some mobile devices, so it certainly doesn’t replace the App store for all Apple fans. However, it’s probably not meant to. It’s another dimension to the games console that is important to include in our digitally connected world. Are academy: SketchPad (8/10): My daughter is a big artist. She loves nothing but to paint, so we have really enjoyed this game. The game provides a lot of choice, from the canvas you are painting/drawing on, to the type of pencils and colours that you use. There is even a smudge stick to give extra effects to your drawings as well. This costs £3.49, so not that expensive, particularly given the variety within the game and the ease with which the kids picked it up mean its a firm favourite. However, if you are a real artist, it’s undoubtedly a wee bit too simple. Spot the Difference Party! (6/10): Spot the difference is a firm favourite in puzzle books for my kids. We therefore decided this was a good choice and downloaded it for £4.49. This is a little over-priced, particularly when compared to similar Apps on the iPad. Nevertheless, the kids have enjoyed playing against each other, something that adds an extra dimension to the usual spot the difference fare. Another additional function that is enabled by the Wii U’s internet capabilities, is the Miiverse forums which allow you to chat to other users through the console. You can join various user groups, and ask advice, or just communicate generationally about whatever you would like. You can even draw the messages you send on the game pad. I can see how this might be helpful to the hardened gamer, getting advice for particular levels when you are well and truly stuck in a rut. It isn’t something I would be keen to let my younger children lose on though, for obvious reasons. You can communicate with other console owners via the “friends” option on the Wii U though. We haven’t tried this out yet, but I do think that this will be great for the kids when they are a little older, particularly being able to play with their class mates. It also allows them to get to grips with the online world in a relatively safe environment as there are parental controls for this part of the Wii U environment. An absolute must considering the current issues with online grooming, etc. We have resisted buying a video subscription up until now, but thought we would give this a go; particularly as we are going away at Christmas and would be able to take the Wii U with us, and therefore our subscription. This aspect hasn’t disappointed. There is a clear, and easy to use menu for the console version of Netflix. Most importantly, the children’s section is split out so its really easy to see what is available. There is a good deal of variety too, from Paddington to Angelina the Ballerina. In fact, 95 episodes of Paddington and three films – who knew?!!? The kids are enjoying this already, and there is a possibility that we might continue to spend the £5.99 a month on this part of the console. We only took out the month trial for the purpose of the Wii U review. However, the kids seem to be enjoying it. The only downside, is that as far as I can tell there is no screen that shows all the different categories of film in one go – you need to flick through them rather as you would go from section to section in a video store. Not a massive problem, but slightly more time consuimg than it needs to be. The final piece of functionality I would like to mention is the ability to play on the game pad, while using the television. This is a sensible addition given that the gamepad is a bit like a handheld device. Clearly, this is for those families whose kids are into the Super Mario Cart type platform-ing games, or perhaps someone wants to draw while mummy and daddy are watching the news. For us, because we are keen on the interactive side of the Wii U, we are generally all playing it together, so we didn’t use it that much. I can see the advantages for families with older children though, who perhaps aren’t as keen on the Wii U Party games as our family. Even looks good with the Design Essentials deco – cheers! I was pleasantly surprised by the addition functionality that the gamepad brings to the Wii gaming experience. The Wii U party is a massive hit in our house because of this. 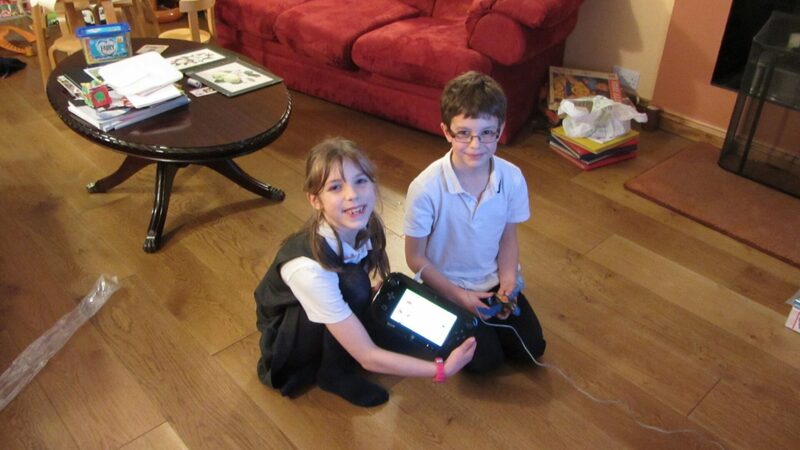 Our kids don’t ask to play on the Wii U all the time, but they never have for our consoles. I actually think that is a good thing though. When we do play on it, it’s the Wii Party U games that are the first to be mentioned. They adore them. 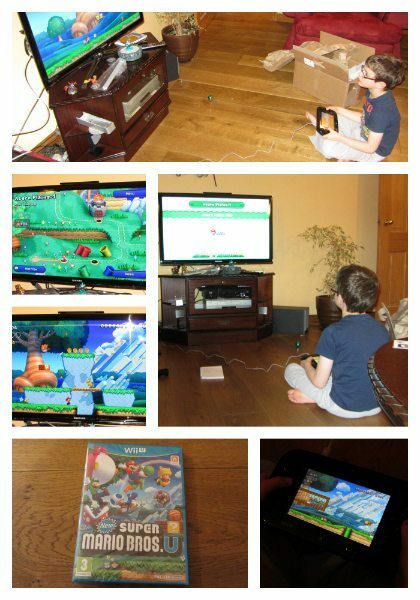 I love the way the whole family is involved and it really does play to the strengths and the principle of the console. The Wii U really has managed to put the “we” into gaming with this particular piece of software. The only downsides for the Wii U are the variety of games available at the moment, the cost for the whole console and the time it takes for games to update on your console. Updating in particular is an issue when the kids want to play – and suddenly we are faced with a relatively long update *cue boredom and annoyance* particularly from the 6-year old. I do also think that at around £250.00 with the extras that it offers from the Wii that might not be enough for people to buy immediately They could delay getting it this year to see what happens to the price if they are moving up from their Wii console. Having said that, I will be recommending it to people though, as I am well and truly sold in this Wii U review thanks to the Wii U party game. Right; back to beating my kids at Water Runner…! Do you have a Wii U? Do you have anything to add to this Wii U review? Would you recommend it? What score would you give it? The Wii U is by FAR the best console option as of now. It has the best exclusive games for the system. It is the ONLY option for family-friendly gaming this generation. Wii is great for families. My family and I always play together when we have our family bonding time. It’ll boost your relationships with one another.